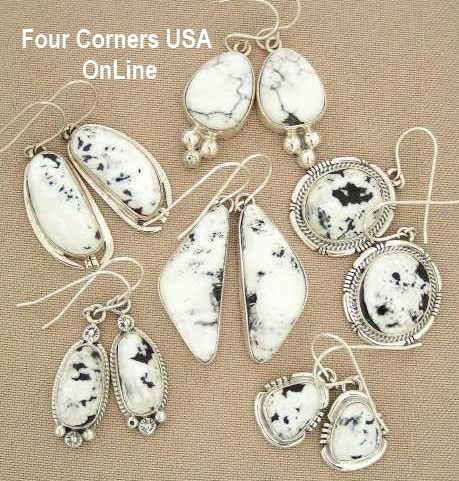 Quality Authentic White Buffalo Turquoise Earrings by our featured Native American Navajo Silversmiths including Tony Garcia, Shirley Henry, Emma King, and Lester Jackson to reference a few. Our White Turquoise Earring Collection is always evolving as new individually hand made creations are finished. Always excellent quality White Buffalo Stones cut by the lapidary specifically in matching pairs for beautiful and balanced Earrings.